Flan, tarte Monge, pain au chocolat… or just a bloody brilliant croissant! Paris resident Jana Markova runs down five of the very best boulangeries in the capital, and their signature treat. One can’t imagine Paris without its particular tiny bakeries that are literally found on every single street corner. In French, they’re referred to as either “boulangeries” or “pâtisseries”. These two words embody their main purposes, ie. to fulfil both the Parisians’ need for home-made bread, crunchy on the top and fluffy inside, as well as to satisfy their picky tongues with delicious sweet treats and desserts. The unique smell of a freshly baked baguette, or the taste of a real French croissant with melted butter, is the quintessence of French culture (at least as much as wine and cheese tasting). It is impossible to resist the alluring odour that wafts out onto the streets and not to step inside almost every bakery that you pass en route. As it would be a pity to miss all these great treats while visiting Paris, here is a list of my favourite bakeries whose delicious products make my ordinary days happy. 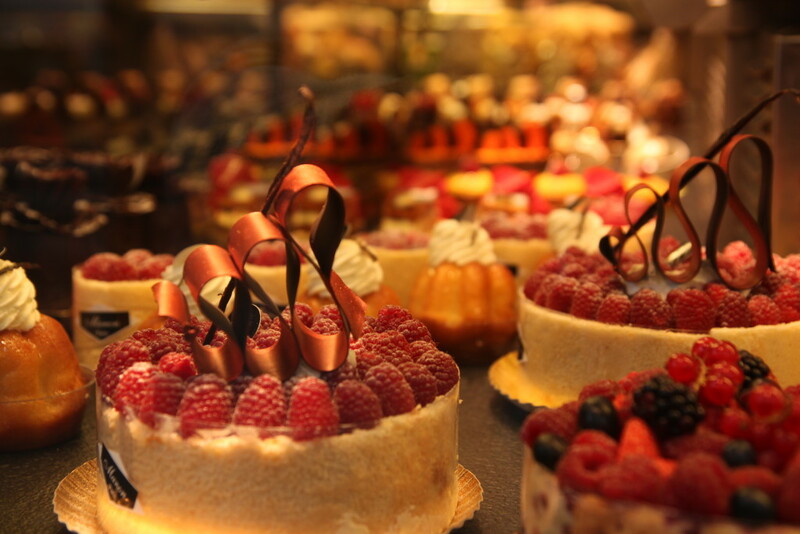 Whilst walking through the streets of the 5th arrondissement, the fancy-looking window display of “La Maison Eric Kayser” immediately attracts the eye. Eric Kayser is one of the most famous bakeries in France that exports its products even to US and Asia – and its reputation is really well-deserved as their service is highly professional and the quality of their products undeniable. The variety of fresh baked breads exceeds the usual baguette offer and the originality of their desserts shows a true culinary art. A cake called “tarte Monge” could serve as proof; crunchy thin dough, altered with light cottage cheese filling and topped with a mix of berries = pure pleasure. One just can’t resist these yummy cakes! Le Marais, the Parisian district historically associated with Jewish tradition and now famous for its gay clubs and original fashion boutiques is a real Mecca for bakery-lovers. 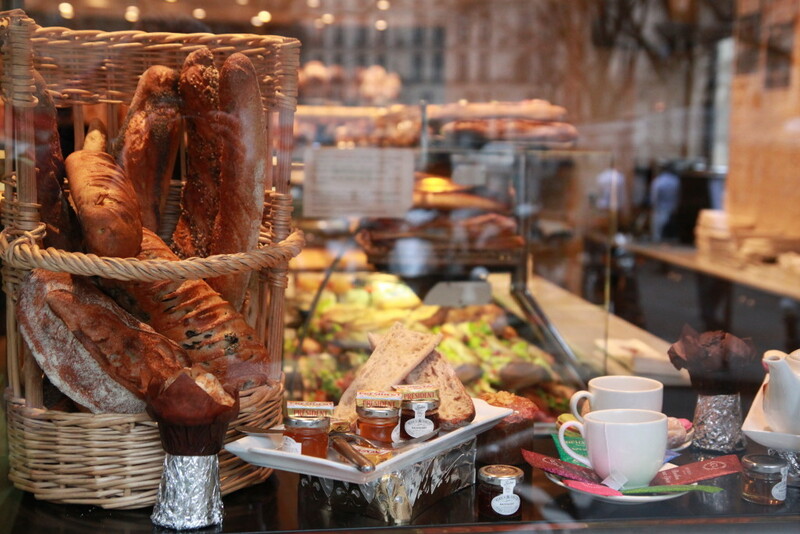 “Boulangerie Heurtier”, situated at 2, rue de la Verrerie, is surely one of the very best. Besides delicious home-made cakes and a large variety of breads (the one with curcuma and almonds is really original), it also offers the possibility to sit down for a good afternoon coffee or for a French-style breakfast including fresh baguette or croissant with butter and jam. Heurtier’s must-try is a light, vanilla-custard cake called “flan”. 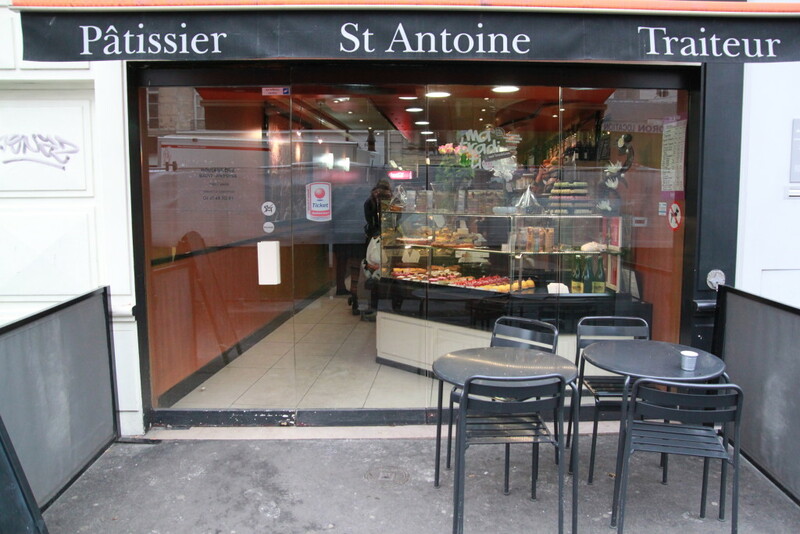 Near the famous Bastille Square, there is a tiny, decent bakery called “Boulangerie Saint-Antoine”. Its discreet shop window hides an extremely friendly staff and a wide array of home-made baked goods. Apart from huge portions of tasty-looking cakes and pies, Saint Antoine bakery will delight you with an original offer of home-made lunch sandwiches prepared on a base of really delicious baguette called in French “baguette tradition”. The vegetarian one with grilled eggplant or the chicken breast sandwich seasoned with old fashioned mustard (“poulet-moutarde à l’ancienne”) represents possibly the best Paris-style lunch ever! Dominique Saibron is the King among bakers in the 14th arrondissement. He is reputed mainly for his unique baguette called “baguette Alesiane” for which the locals form long queues even in the rain. In addition, Saibron is also the only baker in Paris that makes a delicious sandwich with rye-baguette and salmon – this kind of bread is, among all the Parisian bakers, a real rarity. The boutique also offers a big variety of traditional salty cakes (“quiches” and “tourtes”) as well as delicious desserts. If you’re dreaming of a traditional French breakfast, this bakery is the best place to go. The breakfast menu, consisting of one hot drink, fresh juice, and croissant or bread with butter and jam, costs only 6 Euros. Fresh baguette, butter and jam – the best breakfast ever! The boutique of Bruno Solques, an affable curly-haired man with tiny glasses, is hidden in the Saint Jacques Street, just behind the Luxembourg Gardens. It is one of the most original patisseries in Paris, and although Bruno offers classic French pastries and bread, the interior of his shop, decorated by coloured mosaics and organic curved motives, makes one think rather of some Californian hippie-styled café. Moreover, Bruno makes all his baked goods only by his own hands – serial production has no place there, so each bread loaf has its unique shape. Arranged on glazed clay plates, they seem more like works of art than humble loaves and buns. The hand-made chocolate filled pastry called “pain au chocolat” or a slice of Bruno’s lovely rhubarb pie are the must-tries here. Finally, if you are coming to Paris don’t forget to check our complete city break guide with tips on everything from eating out to where to stay. And you might also want to read up on our favourite cocktail hotspots and this two-day itinerary by a local Parisian blogger. In fact we’ve got even more stories from the City of Light right here. Great list. I miss French Bread . Jana is a young Czech girl currently living in Paris, where she studies cinema and dance. 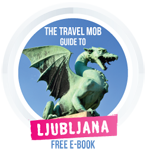 She loves to travel, to meet new people and to discover their cultures. Jana also works as a freelance photographer, and she loves taking travel pictures with her Practica analogue camera.